CNN’s Reliable Sources hosted by Brian Stelter, features a discussion with Michael Calderone, senior media reporter at the Huffington Post, Ryan Lizza, CNN commentator and writer for the New Yorker, and Alicia Shepard, media reporter and former NPR Ombudsman, about the backlash against CBS’s “60 Minutes” story on the NSA- its third most recent count of controversy. They spoke about why the legendary show has gone off track. A transcript of the discussion is available after the jump. 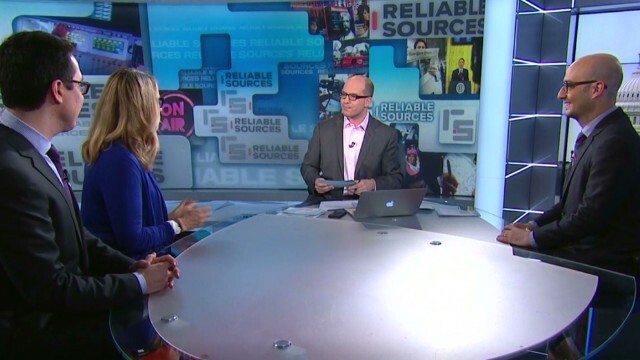 STELTER: Welcome back to RELIABLE SOURCES. It’s been another bad week for “60 Minutes.” I love the news magazine and so do millions of other viewers but it’s still struggling with bad publicity generated by Lara Logan’s report on the Benghazi consulate attack which relied on pun (ph) testimony from a now discredited eyewitness. Logan’s report was shamed again this week when the Poynter Institute give it a not at all coveted error of the year award. Now, the show looked to bounce back this past Sunday, with a report by John Miller that took an unprecedented inside look at the NSA, including an interview with the agency’s director, General Keith Alexander. JOHN MILLER, CBS NEWS: Full disclosure: I once worked in the office of the director of national intelligence where I saw firsthand how secretly the NSA operates. General Alexander agreed to talk to us because he believes the NSA has not told its story well. GEN. KEITH ALEXANDER, NSA DIRECTOR: We need to help the American people understand what we’re doing and why we’re doing it. Joining us now is the aforementioned twitterer Ryan Lizza, CNN commentator and Washington correspondent for “The New Yorker”, and Michael Calderone, the senior media reporter for “The Huffington Post”, and Alicia Shepard, the former ombudsman for NPR. RYAN LIZZA, THE NEW YORKER: Twitterer, I’ve never been introduced as a twitterer. STELTER: A respected Twitterer, absolutely. And honestly, your tweets, I wasn’t watching “60 Minutes”, so it’s your tweets that made me curious. Why did you think it was such a win for the NSA and a loss for viewers? LIZZA: Well, look, there are two big issues here. One was the reporter who did it, who’s a former official at the director of national intelligence, OK? So, nothing wrong with someone with that experience who is now obviously a journalist doing the report, right? He’s got access. He’s got knowledge of the system. But you’ve got to judge it by final product and, frankly, if you’re going to have someone who has a conflict of interest like that do the report, it has to be tough. We’re right now in the middle of a massive debate in this country about surveillance, privacy, balancing liberty and security and the entire piece was a one-sided show for the NSA to get their message out, with not a lot of pushback on some of the P.R. that came out of the mouth of the director of the NSA. STELTER: Michael, were you surprised we heard from no outside voices in that piece? MICHAEL CALDERONE, THE HUFFINGTON POST: It was very strange. And afterwards, in the CBS, overtime, John Miller says they went to outside critics and factored that into their questions. Now, none of that criticism was evident in the kind of softball questions, the leading question that he was asking General Alexander and others. So I didn’t see it in there and viewers who have just watched the broadcast didn’t see any critics at all. STELTER: Let’s play a piece of overtime video where they talk about how the segment was managed by NSA P.R. people in real time. UNIDENTIFIED FEMALE: There were a few times where General Alexander would do a time-out. ALEXANDER: Did the NSA find a foreign power that had identified this capability and discussed using it offensively. I need time-out on that. MILLER: You looked over like this to the whole crowd of people over there in the dark and said can I answer that? STELTER: I just want to say there will be no time-outs during this segment. Were you surprised that wasn’t on the actual television broadcast? ALICIA SHEPARD, FORMER PBS OMBUDSMAN: Well, of course, it should have been on, and it should have been. We asked him this and this and he couldn’t have answered. What I noticed recently, they’ve had a stream of exclusive interviews and not had challenging people on. SHEPARD: Yes, getting Jeff Bezos on was a big deal. Getting General Alexander was on. They also run a piece that probably will get more attention now back in October about Social Security disability payments. They didn’t have one Social Security disability advocate on or one person. It was about being ripped off by the taxpayer. So, you get access and nobody has heard from Jeff Bezos. This is one of the first times. That’s what they’ve got. It’s going to draw viewers. I think we’re all very critical but I don’t think the public looks at it the same way we do. STELTER: And as often the case in these stories, isn’t it, Ryan? LIZZA: There’s nothing wrong — not every story has to be a hard edged, you know, just attack the person you’re sitting there interviewing. I don’t think the Jeff Bezos story was that big of a deal. Sometimes you want to do a sort of profile of someone and what they’re like. I think every news organization does that. My issue with this one is we’re in the middle of the one of the most important debates in recent history. And to just let the NSA go on there without any of the countervailing opinions was the big problem here. STELTER: And then and we see a headline next day in the “New York Post” let’s put it up on screen, “CBS news man Miller to rejoin Bill Bratton at NYPD”. He’s in talks right now. Is that right, Michael, about going back from journalism once again into government? CALDERONE: Yes. Now, John Miller has left journalism twice before. He went to work with Bill Bratton, the incoming commissioner of the NYPD, back in the ‘90s in New York, and then when Bratton lives in L.A., he’s worked as director of national intelligence and FBI. He disclosed only one of those for law enforcement roles on TV. Now, I spoke to Miller three days before this piece ran and I said, you know, are you going back to NYPD? I was hearing speculation he could be counterterrorism chief. Another writer who’s written a book on NYPD was hearing intelligence chief. So, you know, he said he had no formal offer and since then, he hasn’t made any additional comment. But there’s been story after story about saying that he’s likely to get this job. STELTER: No, my sense is we could have a deal by Christmas. I don’t think he wants to go into the New York and not have this resolve. So they are actually leaning into the idea that it’s great for him to have this resolving door experience because it helps the story. SHEPARD: Absolutely, but disclose it. Just let the viewer decide. You know, what people hate in general are surprises and finding out later. STELTER: But beyond disclosure, is it — at some point, is it inappropriate to do the story at all? SHEPARD: I don’t think so because John Miller has this incredible background and access and experience and might not have gotten the story otherwise. But I think had he said, here’s what’s going on, I’m in talks, I’ve had this job. I’ve had that job. I think then, the public thinks, OK, and they can factor in how believable, how credible the report is. SHEPARD: That’s always been the case with “60 Minutes.” I mean, Bob Woodward writes a book. He wants to go on “60 Minutes” first. STELTER: It’s by far the highest rated news program on American television. LIZZA: Which is the reason why it should be held at such a high standard. It’s one of the greatest news shows in the history of television, that’s why I personally hold it to such a high standard. CALDERONE: Right. And I think there’s a difference between giving a celebrity, somebody promoting a movie, 12-minute, 14-minute segments, I mean, these are long segments that “60 Minutes” is doing. They have plenty of time to really press these people. And when a really secretive person like Jeff Bezos — you know, journalist would kill to get a minute with him, never mind, you know, how to sort of access that he did. And he basically got to promote this drone story that was on everywhere on Cyber Monday right as people are going to turn to Amazon. STELTER: I remember people were on Twitter, the kind of more cynical people who watch “60 Minutes” and kind of snark at it, were snarking at the Amazon piece until the drone thing happened and then they were wowed by it because it was a great reveal. But, you know, maybe — yes? LIZZA: I think look at what happened this last week. We had three different reports about the NSA. We had “60 Minutes,” we had a federal judge, and we had a White House panel, right? SHEPARD: Right, which is what we would expect would have the harshest criticism. It did seem like who deputized CBS to say, we’ve heard all the negative criticism. So, we’re going to give you the other side of the story. LIZZA: I think that — I did not understand that justification for it, because it’s a huge platform. It’s 15 million to 20 million viewers. A lot of those viewers probably are not familiar with the story. It’s a big, confusing story that requires someone with resources of “60 Minutes” to step back and tell the whole thing. Not just assume that, oh, the viewers out there have been listening to critics bash the NSA. So let’s give NSA a chance to respond. That’s not good journalism. CALDERONE: Yes. There was a presumption that the NSA has told its story. Well, General Alexander has been on TV before. The administration defended the NSA disclosures. You know, sources have come out from the government defending the NSA for six months now. I mean, it’s not like the government hasn’t been getting its point across. The government has been getting its point across for a variety of different ways. So, I mean, to have no critics and just presume that we’re finally giving the NSA their voice is just very strange. STELTER: We should keep that in mind. That’s a good point. STELTER: Alicia, Ryan, Michael, stay with us. Stay with me, because I want to talk next about the tweet heard around the world. How should we feel about the Internet’s mob mentality next.